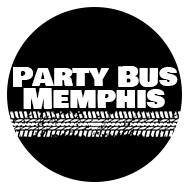 Party Bus Memphis is thrilled to welcome you to Tennessee! Whenever you find yourself in need of group transportation in our area, we'd be thrilled to take you wherever you need to go. Whether it's Graceland, our gorgeous downtown area, or somewhere else within our service range, we can get you there affordably and in style. We are dedicated to providing our customers with a truly thrilling experience on the road, and that's why we put so much time and effort into maintaining and upgrading our buses. You'll find that our fleet includes a variety of vehicles with state-of-the-art features for your enjoyment. With such a wide variety of vehicles to choose from, we know you'll find the one that's perfect for your event. We hope that you'll have time to come down to our lot and choose a vehicle in person, but if you'd rather let our experts choose one for you, we can easily pair you with a great vehicle when you book! We strive to meet and exceed your expectations so you have a memorable celebration. One of our favorite things is when we have customers who have never traveled with us before, because we really pull out all the stops! Although we go over the top for all of our clients, whether they're a rookie or a repeat client, we love to see our first-time customers go crazy with glee at the experience of such a fun partying time on the road. There's simply no better way to travel than with a vehicle from our gorgeous Memphis limousines. In addition to the simple aspect of how fun it is to travel on a luxury vehicle, there's several other perks as well! To best explain the perks of renting a luxury vehicle for your event, let's first point out some of the things you'll deal with if you handle the transportation on your own. First, you'll figure out how many guests you have. Then, you'll have to figure out how you'll all get to the destination, which is going to be the first stressor - how many drivers will you need? What if the only friends who volunteer the be the designated driver are the ones with the smallest vehicles? Next, if you're headed to a big event like a concert or Memphis Grizzlies game, you'll have to deal with traffic, and of course the nightmare of parking. Will traffic stop part of your group from arriving on time? Will some of them have to park further away leaving you to all have to find each other inside the venue? And then leaving, we've all been in the insane line of traffic leaving an event. When you have us on your side, none of those stressors apply! First, once you get a passenger count we'll let you know what vehicle options we have to accommodate you all. Next, because we're the DD, your entire group and enjoy drinking at the event as well as on the vehicle itself! Traffic? You're not going to be bothered, because while everyone else is crammed in their car trying to navigate through it, you'll be sprawled out in a spacious vehicle, drinking, dancing, listening to music, or watching movies - you'll essentially be hanging out in a VIP lounge on wheels. And we drop you off right out front of the venue so parking isn't a problem either! Lastly, on the way back you'll again be enjoying your time on the vehicle, and no amount of traffic will bother you! Best of all, it's affordable! You'll be surprised at just how affordable our prices are, especially if your group splits the cost evenly. In fact, we have some customers who will split the cost of a limo with their friends for their night out on a regular basis, some even every month! For just a little bit of extra money spent on your night, you get a whole lot of extra fun! You can even keep the party going after hours since you can rent your vehicles any time 24 hours per day! Please enjoy browsing our site, and whenever you are ready to speak with one of our representatives just give us a call or send us a quick email! Our agents are available 24 hours per day, so don't hesitate to reach out to us. We can't wait to hear from you! Are you looking for transportation services in other areas? Try our friends over at Green Limo Bus, or our associates in Washington, DC or Cleveland, OH. From the historic 409 South Main, to the regal Ridgemont Ballroom, to the intimate No. 2 Vance, a Memphis wedding is going to be beautiful! Don't leave the transportation to any less than the best. Let us take you in a luxury vehicle that suits your event. Whether you're going to a Grizzlies game or a University of Memphis Tigers game, we know you fans love your team and you want to enjoy the game 100%. So relax and have a few beers and cheer them on, we'll be there to make sure you get home safe. Music is a big part of this city. You can enjoy shows at amazing venues like the FedEx Forum, New Daisy Theatre, or BB King's Blues Club or countless more intimate venues like the Lafayette Music Room. 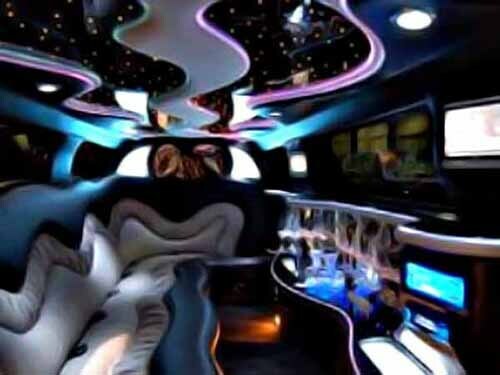 Travel like you're the celeb with any of our limos! Make your birthday memorable, no matter how old you are! While of course the 21 and up parties are our most popular birthday celebrations, we certainly can provide the travel for birthday boys and girls of all ages! Kids love family outings on our vehicles! Of course a city as steeped in culture as Memphis is going to have some incredible annual events. When you want to really make a day of it, travel there in style! We find that many of our clients love showing up at the various film festivals in limos! Clubbing gets a whole lot better when you have us as your DD! Perhaps you're starting at one of the great local clubs and then moving the party to Jackson or some other city? We can take you and you can keep drinking and dancing as you travel!